Campanula 'Dickson's Gold'. 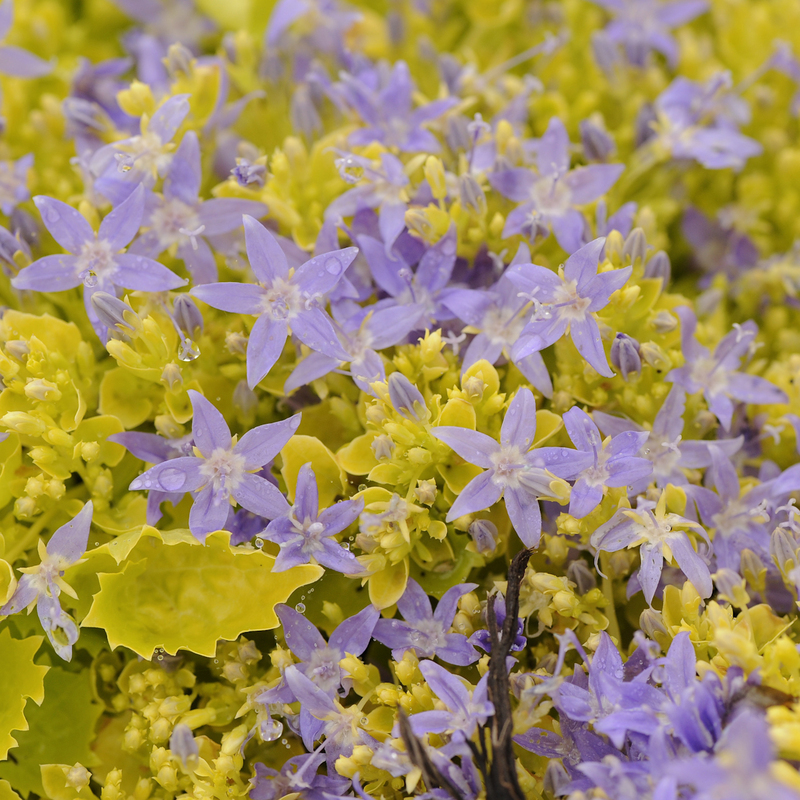 Striking bright gold, toothed leaves form a compact clump; color is lime green if grown in part shade. Lavender blue, star-shaped, upward-facing flowers smother the foliage from late spring to midsummer, often repeating sporadically into fall. 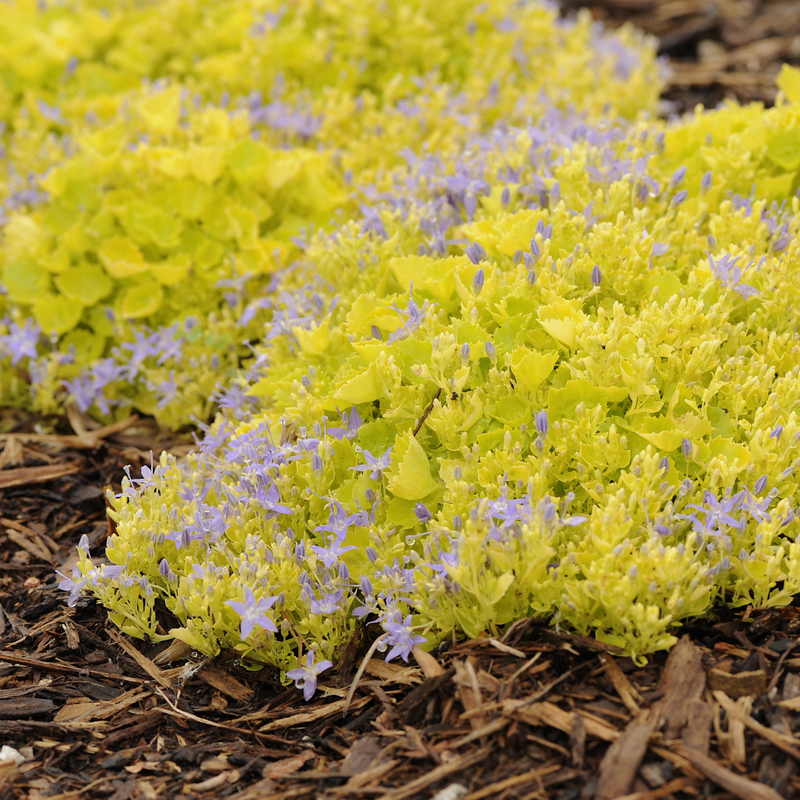 Makes an eye-catching addition to combination containers or as an edging in the landscape.